Guilsborough is an ancient settlement, an Iron Age hill-top fort, which became a Romano-British settlement, and then a Saxon burgh. 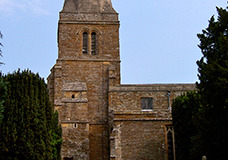 It had a church recorded in the Domesday Book, probably a satellite of the minster at Brixworth (founded c. 680), itself a satellite of the monastery at Medehamsted, (Peterborough). The Danes invaded the area in the 9th century, and the modern village is an amalgam of the Saxon Guilsborough and the Danish Nortoft. There has never been a single landowner dominant in the village, and there are many large country houses still. There is a Primary and a Secondary school in the Village, the latter serving a wide catchment area, and a pre-school with its own premises. The village has a shop and post office. The surgery is new, large, and provides a wide range of services. There is a fire station, a lively pub and a village hall, which serves as the venue for the Monday Morning Meeting from 9-11am, a meeting point for all ages with coffee, cake and activities for children. Guilsborough Music And Drama Society produces successful plays and musicals every year, there is an art group, a bowls club, book clubs, Brownies meet in the Primary School and there is a small Guides group. The Playing Fields Association supports a wide variety of sports, and there is a children’s playground with some recently installed equipment. 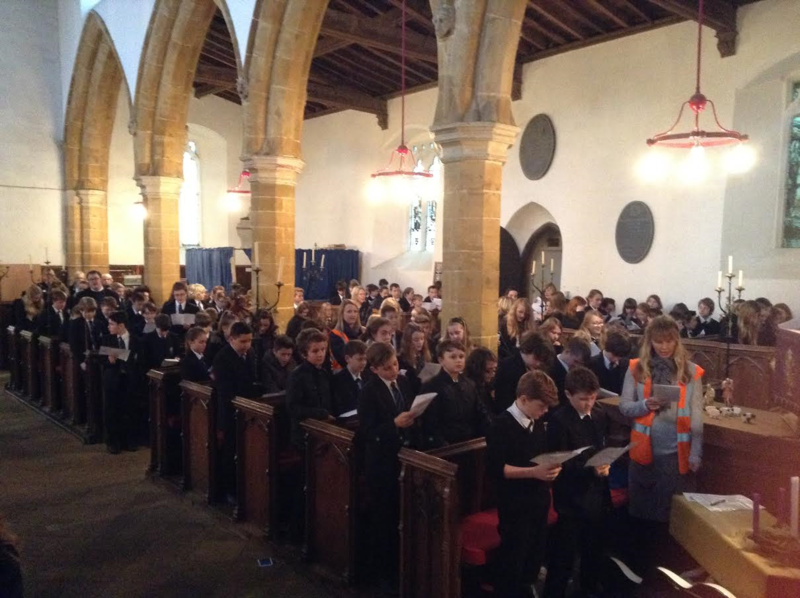 The church plays an active part in village life and is much valued for weddings, funerals, baptisms and school services. The regular congregation is around 35/40 on an average Sunday, with festivals attracting much larger numbers. Coffee is provided after most services. 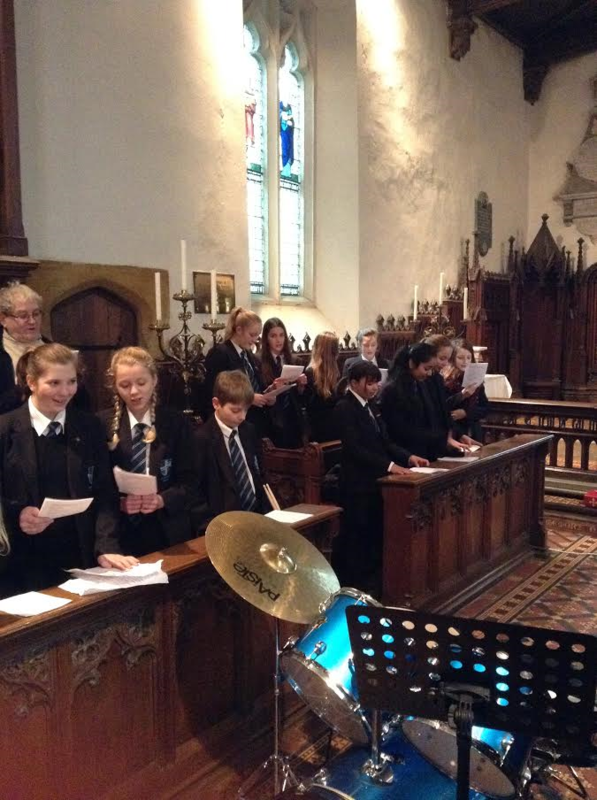 There is an enthusiastic 4-part choir – new members of all age groups always welcome. Currently there is a vacancy for a Director of Music and/or Choirmaster. A loyal group of bellringers ring for most morning services and weddings. A Mothers Union group arrange a variety of events in and outside the Church, and there is an active lay pastoral team. Many members of the congregation are participants in the prayer chain. We support a local Food Bank and the Blythswood Charity, in particular with Christmas shoeboxes. We have rotas for sidespersons, readers, flower arranging and cleaning. The Domesday Book does record a church in Guilsborough but it is not possible to give the date of the first church. There remains, though, a single small stone aperture carved from a single block above the south- facing belfry door which is likely to be Saxon. The church was originally dedicated to St. Wilfrid, but became St. Etheldreda's during the 14th century. The church was listed as Grade II* in 1954. The Early English tower is the oldest part of the church and was built in the 13th century. Inside the church the bosses in the fine oak roof depict the Seven Ages of Man. The church bells date from 1593. A later one clearly commemorates the days of the Great Plague. The font, made by an amateur craftsman, dates from the first quarter of the 19th century and is made of composition stone. The elaborate oak fittings to the chancel were added in about 1846. There are several marble tablets in the church, some dating from the 18th century and in memory of the Lucas family of Hollowell House. The present organ was manufactured by J.Walker and Sons of London and now consists of two manuals. It was restored in 2010. The church contains nine stained glass windows, six made by William Morris and Co., from designs by Sir Edward Burne-Jones. In 1973, the sixteen Victorian candelabra, together with the altar cross and candlesticks, were restored to their original condition. Over the years there have been several beautiful sets of altar frontals, pulpit and lectern falls presented to the church. From the 1990s onwards, a wide range of additions were made. Padded seating was added to all pews and a new amplification and loop system was installed. The north porch was converted to provide a lavatory and a kitchen, donated by Ivan and Betty May of the parish; External flood lighting, paid for by local subscription, was installed to light the church at night in commemoration of the Queen’s Golden Jubilee; new drains to the south side of the church were laid and a new smooth surface to the south pathway, donated by the Bernard Sunley Charitable Foundation, was constructed in place of the old cobble stones. Also a replica oak gateway was installed at the entrance in memory of Mr. David Letts. The National Association of Decorative & Fine Arts Societies (NADFAS) have produced two fine bound books, with photographs and full details on all the fixtures and fabric in the church, and there are booklets which can be purchased for a small contribution. For pastoral matters or to enquire about services, please contact Rev. Chris Peck or the group administrator, Katrina Jones. Details for both can be found on our Contact Us page.